This is a PURIM Prophecy! …that they are already on this earth? Do you want to know how close we are to the END OF THE WORLD as we know it and/or how close we are to the GREAT TRIBULATION (a.k.a TIME OF JACOB’S TROUBLE)? 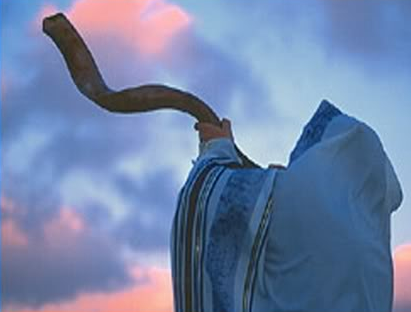 WHO ARE THE ONES THAT YAHUVEH/YAHWEH GOD CALLS THE TWO WITNESSES IN Zechariah 4 and Revelation 11? 11 I was given a measuring rod like a stick and told, “Get up, and measure the Temple of God and the altar, and count how many people are worshipping there! 2 But the court outside the Temple, leave that out; don’t measure it; because it has been given to the Goyim, and they will trample over the holy city for forty-two months. 3 “Also I will give power to my two witnesses; and they will prophesy for 1,260 days, dressed in sackcloth.” 4 These are the two olive trees and the two menorahs standing before the Lord of the earth. 5 If anyone tries to do them harm, fire comes out of their mouth and consumes their enemies — yes, if anyone tries to harm them, that is how he must die. 6 They have the authority to shut up the sky, so that no rain falls during the period of their prophesying; also they have the authority to turn the waters into blood and to strike the earth with every kind of plague as often as they want. 7 When they finish their witnessing, the beast coming up out of the Abyss will fight against them, overcome them and kill them; 8 and their dead bodies will lie in the main street of the great city whose name, to reflect its spiritual condition, is “S’dom” and “Egypt” — the city where their Lord was executed on a stake. 9 Some from the nations, tribes, languages and peoples see their bodies for three-and-a-half days and do not permit the corpses to be placed in a tomb. 10 The people living in the Land rejoice over them, they celebrate and send each other gifts, because these two prophets tormented them so. 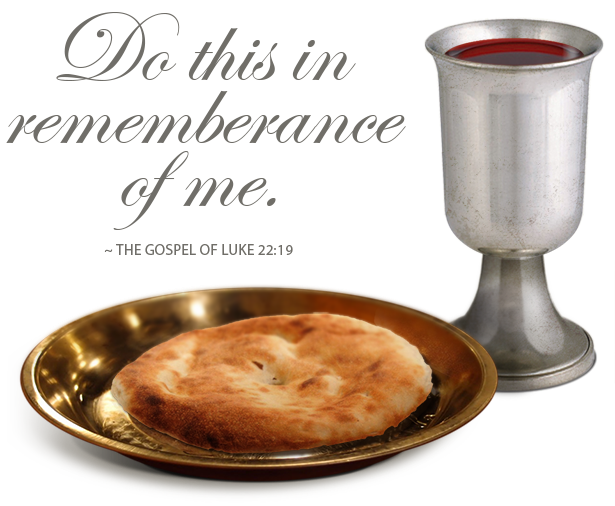 11 But after the three-and-a-half days a breath of life from God entered them, they stood up on their feet, and great fear fell on those who saw them. 12 Then the two heard a loud voice from heaven saying to them, “Come up here!” And they went up into heaven in a cloud, while their enemies watched them. 13 In that hour there was a great earthquake, and a tenth of the city collapsed. Seven thousand people were killed in the earthquake, and the rest were awestruck and gave glory to the God of heaven. 14 The second woe has passed; see, the third woe is coming quickly. There have been various speculations concerning THE TWO WITNESSES over the years. 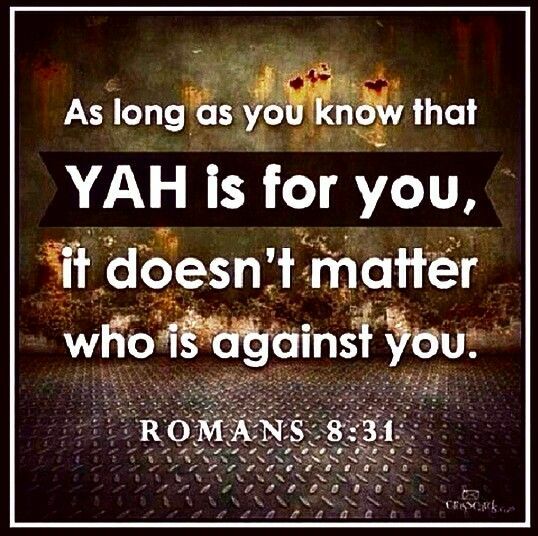 YAH has kept their IDENTITY and DETAILED DESCRIPTION A SECRET UNTIL THE VERY LAST DAYS of this earth’s existence! In fact, YAH has used HIS “Elijah of New” to reveal more information about the Two Witnesses. We still don’t know their identity however YAH has revealed more information about them. We can’t speculate YAH’S WORD accurately. YAH revealed in the book of Daniel that SOME THINGS will be kept SECRET until the end of time which means that only YAH that can reveal the SECRETS IN HIS WORD! The TWO WITNESSES are symbolised as TWO OLIVE TREES and TWO MENORAH (LAMPS) before YAH’S THRONE. It has been revealed through YAH’S “Elijah of New” that they are already on this earth and YAH is asking us to PRAY for them to recognise and accept who they are in YAH plus pray for their PROTECTION! They are hidden in SEAL Number 6 that the LAMB OF YAH (GOD) who is YAHUSHUA (GOD THE SON) is breaking one by one as seen in Revelation 5-18. They are already on this earth. This is a SIGN that our GENERATION will be the last on earth. They are ONE MAN and ONE WOMAN! One of the witnesses has the SPIRIT LIKE UNTO “ELIJAH” (this will be the 5th and final prophesied Elijah) and the other witness has the SPIRIT LIKE UNTO “MOSES” meaning they will operate in a similar anointing. They are both very humble. They are part of the Revelation 14 BRIDE OF YAHUSHUA that will be Harvested / Raptured before the GREAT TRIBULATION / TIME OF JACOB’S TROUBLE. During the First Rapture, they will be placed in Jerusalem at the Wailing Wall in their GLORIFIED BODIES where they will speak YAH’S WORD as directed by YAH through the RUACH HA KODESH / SHKINYINYAH GLORY. They will rebuke ISRAEL for forsaking YAH and not accepting YAH’S SALVATION (which is YAHUSHUA also known as JESUS CHRIST / YESHUA). We have been commanded by YAHUSHUA to PRAY FOR THE TWO WITNESSES WHILE THEY ARE STILL IN THEIR MORTAL BODIES! At the END OF THEIR MINISTRY, YAH will give permission to their enemies to kill them. Their bodies will be left for the whole world to see. 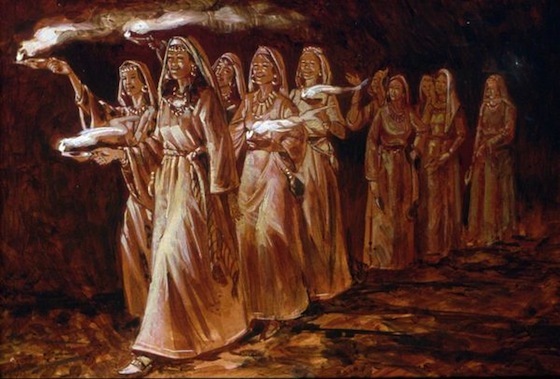 After three and a half days, YAHUSHUA will appear and call them forth to ARISE and be RAPTURED TO HEAVEN together with the FOOLISH VIRGINS of Matthew 25 who are also the Revelation 7 BRIDE OF YAHUSHUA. Note that just as YAHUSHUA has a BRIDE, satan too has his own (evil / wicked) bride! 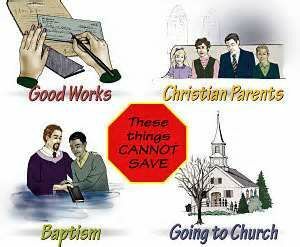 Satan’s Bride will do anything to steal, kill and destroy YAHUSHUA’S BRIDE (John 10:10; 1 Peter 5:8). YAH has NOT revealed the IDENTITY of the Two Witnesses as yet however if you pray unto YAH, HE can tell you more about whom HE calls HIS TWO WITNESSES. They are sent mainly to the NATIVE BORN ISRAELITES to warn them ahead against the DECEPTION OF satan in their Land so that they turn to YAHUSHUA for SALVATION PHYSICALLY and SPIRITUALLY however sadly, the Two Witnesses will be shunned by many just like they did YAHUSHUA during HIS TIME on earth. They will speak YAH’S SPIRITUAL MYSTERIES and YAH’S WRATH / JUDGEMENT will manifest in various ways on the earth! It is said that by one Messianic Jewish Teacher (Pastor Jim Staley) that One of the WITNESSES will be representative of the NORTHERN KINGDOM while the other will be representative of the SOUTHERN KINGDOM. To understand this KINGDOM split, you would have to read the BOOKS OF KINGS (TANAKH). At the END OF THEIR MINISTRATION, The TWO WITNESSES will be killed / murdered by stoning. 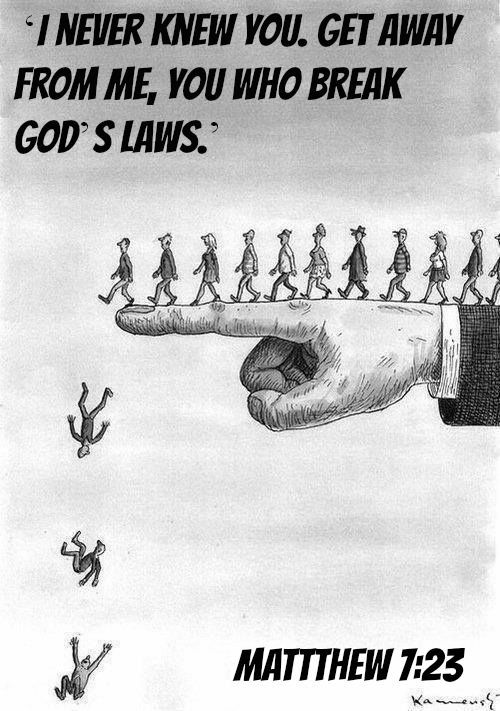 YAH will withhold the Protection over them so that they are MARTYRED. Their bodies will not be picked up and buried. THEY WILL BE LEFT ON DISPLAY for all the world to see. The world will celebrate their death. 3 1/2 days later, the world will be surprised by YAHUSHUA who will appear on the MOUNT OF OLIVES, (i think close to where Isaac was nearly sacrificed as well as where YAHUSHUA was sacrificed). HE will split the Mount into two and call forth the TWO WITNESSES to wake up. They will rise from the dead TOGETHER with the DEAD in YAHUSHUA and then all will be raptured to Heaven TOGETHER with the FOOLISH VIRGINS who will have made themselves ready – Matthew 24 & Matthew 25 (also read the Books Of Thessalonians). 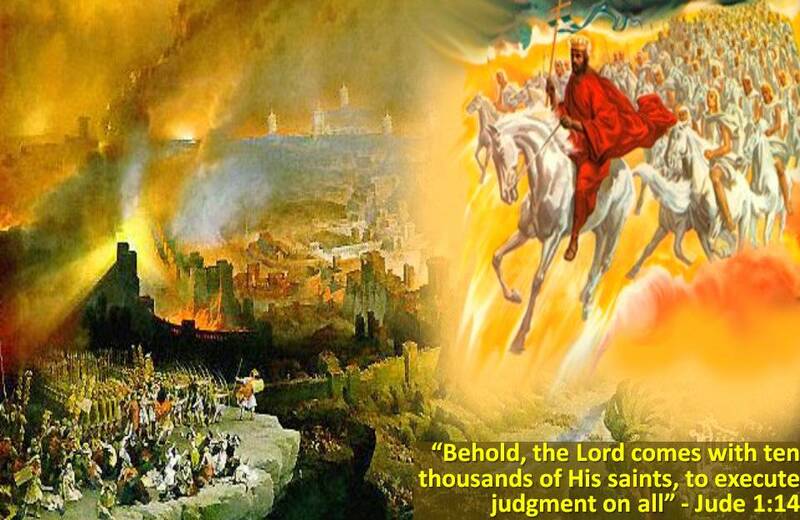 Then the WORST PART OF THE GREAT TRIBULATION will commence!!! E.g, Sunday WORSHIP will be declared BY LAW as a SIGN BETWEEN the Anti-Messiah and all those that belong to him NO MATTER WHAT RELIGION they belong to… It will be in the Sunday Churches and other Places of Worship that the MARK OF THE BEAST will be given. So it means that if we are still alive on earth, and are still Believers in and Followers of YAHUSHUA HA MASHIACH by that time, WE DARE NOT STEP INTO A SUNDAY CHURCH then or else we will lose our places in eternity with YAH!!! That’s why people need to know now and change!!! Satan instituted SUNDAY WORSHIP through the First Beast of Revelation 13 (as seen in the Book of Daniel) well ahead of time, that is to say years back so that everyone can become accustomed to it so that by the time that THE SUNDAY LAW is passed, those that are NOT SENSITIVE to RUACH HA KODESH will fall for the TRAP and get the MARK OF THE BEAST!!! THE TWO WITNESSES will carry out their MINISTRATION in their GLORIFIED BODIES… these are the IMMORTAL beautiful bodies we obtain after leaving earth only if we are HEAVEN-BOUND / go to HEAVEN for eternity. 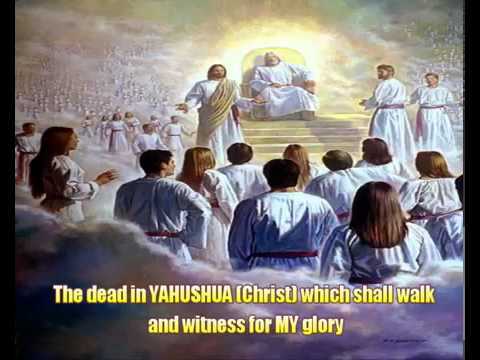 YAH has revealed that the TWO WITNESSES are categorised as part of the FIRST SET OF BRIDE OF YAHUSHUA, the one the gets caught up / harvested / raptured before the GREAT TRIBULATION then as the rest travel to Heaven, the TWO WITNESSES will be carried spiritually and placed in Israel in their glorified bodies. The BRIDE that travels to Heaven will also have GLORIFIED bodies. Their GLORIFIED BODIES would protect the TWO WITNESSES from being earthly or having earthly desires, e.g. FEELING HUNGRY, PAIN, ILLNESSES, BEING EASILY ATTACKED, etc as they will most likely Stand at the WAILING WALL 24/7. The GLORIFIED BODIES will enable them to do YAH’S WORK successfully without any interruption. The TWO WITNESSES are part of the WISE VIRGINS but will leave earth with the FOOLISH VIRGINS and THE DEAD IN YAHUSHUA (Thessalonians…). 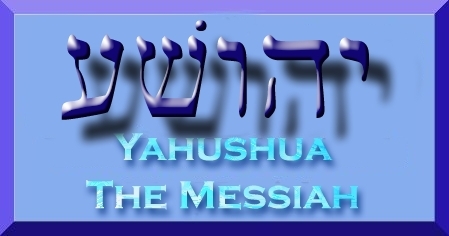 Be blessed in YAHUSHUA HA MASHAICH’S name! 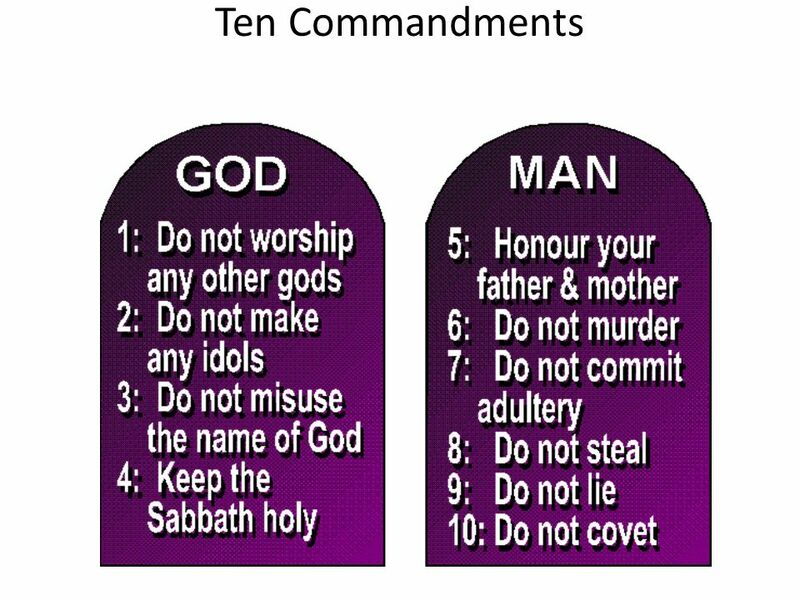 You can also check out this link (https://yahushua-thechiefcornerstone.com/bible-prophecy/) for further useful information.